Carol Ann (Sanewsky) Paventi, 77, a lifelong resident of New Britain, passed away peacefully Saturday, Nov. 3, 2018. A kind and loving person, she worked at Farmington Convalescent Home caring for her patients for many years before retiring. She most enjoyed spending time with family and friends. 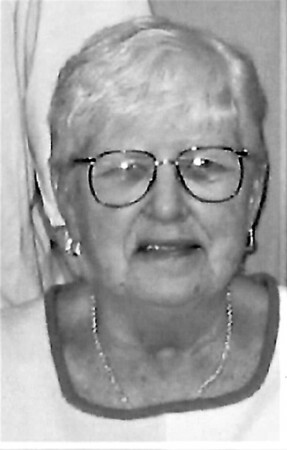 She leaves behind a sister, Beverly Battistone and her husband, Ronald of Tampa, Fla.; her two sons, Robert Paventi and Tony Paventi, and her daughter, Margaret Joy Morales, all of New Britain, Conn., along with eight grandchildren, 10 great-grandchildren, nieces, nephews, and many close family friends. She was predeceased by her parents, Margaret and Henry Sanewsky, her sister, Jane Sarkisian, her son, Dominic Paventi Jr., an infant son, Brian Paventi, and son-in-law, Gregory Morales Sr.
A memorial service will be held at Luddy & Peterson’s Funeral Home, 205 South Main St., New Britain, Conn., on Monday, Nov. 12 at 5 p.m.
Posted in New Britain Herald, on Thursday, 8 November 2018 21:10. Updated: Thursday, 8 November 2018 21:12.